Hello Readers, as might be suggested by the title of this post, here I’ll try to introduce myself and also give a glimpse of what this amazing experience called the PRACE Summer of HPC program probably has in store for me. 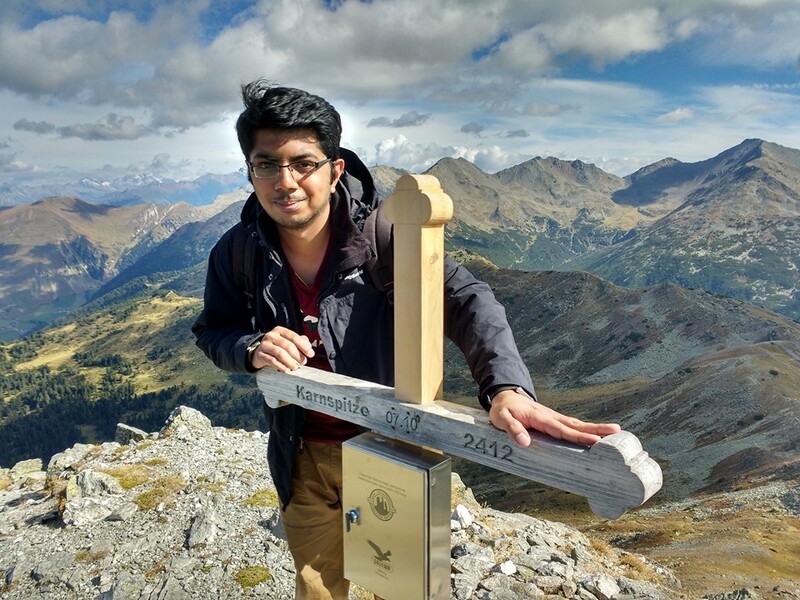 My name is Paras Kumar, I’am a 27 year old mechanical engineer turned computational scientist who is currently pursing his Masters in Computational Engineering (sounds similar to Computer Engineering, actually it is not, so please click to know more) at the University of Erlangen-Nuremberg in Erlangen, Germany. My scientific interests lie in the development of numerical methods for solving complex problems in Mechanical Engineering, especially Solid Mechanics. Put simply, I may for instance, be interested in determining under what loading conditions could the axle of your car or the landing gear of an airplane fail. One could build prototypes and do physical tests, but this requires a lot of effort, money, time and may even be infeasible in certain cases. Thus, we resort to the numerical route, which involves some complex equations of maths which cannot be solved by hand so one has to write computer programs for that. High Performance Computing (HPC) is concerned with using powerful supercomputers to solve such complex problems. Born and brought up in New Delhi, India, I did my schooling and undergraduate studies there. Post Bachelors, I worked for three years in an automotive company where I was involved in strength and durability analysis (something similar as described above) for design of motorcycle structural parts. These calculations are based on a mathematical technique called Finite Element Method and in the industrial context are generally implemented using commercially available software programs. The competencies and passion to excel, which I developed while working there was indeed a turning point in my professional life. An avid thinker and curious mind as I have always been, I decided to sound the depths of how these software tools actually work behind the scene to present the engineer with colorful pictures containing some important information. This pursuit of excellence, as I consider it led me to pack my bags, leave my family and friends and come all the way to Erlangen, Germany where I now live for the past two years. Besides solving problems in Mechanics, I am also engrossed in hiking, travelling places, trying different cuisines, watching movies, playing chess and table tennis. Last year, I got the opportunity to go hiking in the Sarntal Alps in the South Tyrol area of Northern Italy. Also, I look forward to see new places during my stay in Slovenia over the summer. By the way, I already had the opportunity to taste traditional Slovenian food on my way to Ljubljana and it was yummy. 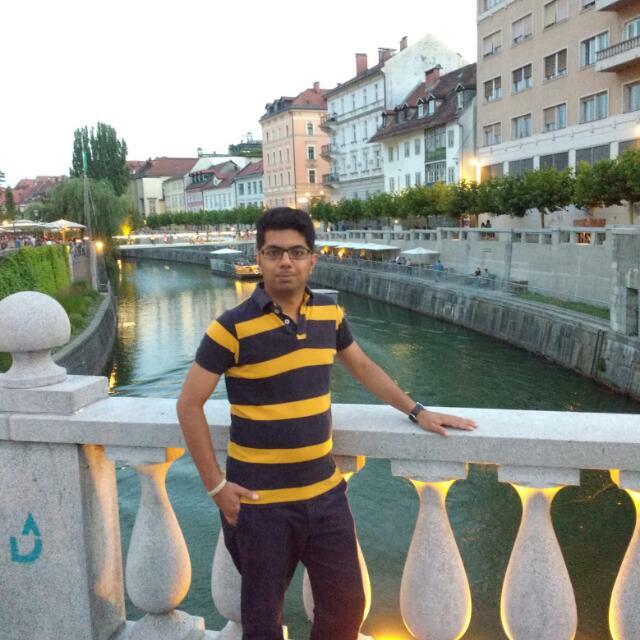 Now on the verge of completing my masters studies, I perceive the PRACE Summer of HPC program as a unique opportunity to further develop my skills in Computational Science and this time apply them to a different application – CFD, as I spend the summer at the Faculty of Mechanical Engineering in the University of Ljubljana trying to come up with a strategy to automate the complete CAD – CFD process involving the application of Open CASCADE and OpenFOAM. Last week, I along with twenty other participants attended an introductory training event at the IT4Innovations Supercomputing Center in Ostrava, Czech Republic. This training not only allowed us to try our hands at the Salomon Supercomputer, but I also got to meet a bunch of amazing people from different parts of Europe, interact with different cultures and make friends. I hope to pursue this further during my stay in this beautiful city of Ljubljana. It looks great learning and practical exposure !! Is there any such course starting in Winter 2017/18 ? Hi Bharat, thanks for your interest. The Summer of HPC is an annual event which takes place usually during July-August with applications happening in January-February. Great paras…We feel proud of you keep it up. 3 Pings/Trackbacks for "Paras Kumar"